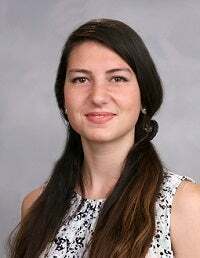 ​Teodora Tomova is a doctoral student specializing in Organizational Behavior in the Department of Management and Organizations at New York University’s Leonard N. Stern School of Business. Teodora’s research interests broadly revolve around conflict resolution in groups and competitive social networks. More specifically, Teodora is interested in the notion of modern nepotism and its effects on group dynamics in terms of power perception and hierarchical structure. Teodora Tomova received a B.A in Psychology (Honors) from the University of California, Berkeley. Prior to joining NYU Stern, Teodora gained industrial experience as an organizational consultant and HR professional, giving a start to her career as a researcher.